Why I bought it: I wish I could say this purchase was pure peer pressure, but I’m pretty sure I thoroughly enjoyed Crazy Frog at the time. “Axel F” debuted when I was 11 years old and in 4th grade, which planted me firmly in my roller-skating rink days. If I remember correctly, a roller skating rink called Skate City I visited played the video frequently, ensuring my sugar-high 11-year old ears were primed for music equally saccharine. The song: In its original form, “Axel F” really isn’t all that unpleasant. Sure, it’s pure 80s cheese, but it’s the American cheese of cheesy music: so fake it tastes good on a greasy cheeseburger. That’s sadly not the same for Crazy Frog’s remix. The song maintains the original version’s goofy energy, but throws in one over-the-top effect after another. Most charmingly irritatingly is the frog itself, making random mouth noises all over the place. Pair that with some weird voice shouting at various times, and you’ve got a recipe for a truly terrible song. Where they are today: Somehow, Crazy Frog was more than a one hit wonder. Despite not performing quite as well as “Axel F,” the wondrous minds behind Crazy Frog found further success with a cover of the old elementary-school dance track “Popcorn.” While it didn’t climb the charts in America, Monsieur le Frog somehow convinced the French population to take “Axel F” from number one on French charts and replace it with “Popcorn” for seven weeks. SEVEN WEEKS. You read that correctly. Of course, the fun had to end eventually. After all, very few cartoon frogs have maintained successful music careers. 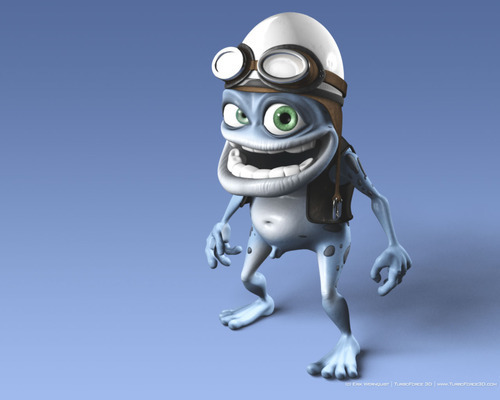 While his 15 minutes of fame netted Crazy Frog a racing game for PS2 called Crazy Frog Racer, only one more mildly successful single would debut, a reworked cover of “We Are The Champions.” Today, Crazy Frog is but a footnote in our pop culture consciousness, a harrowing reminder of the horrors animated figures can have on the music industry.